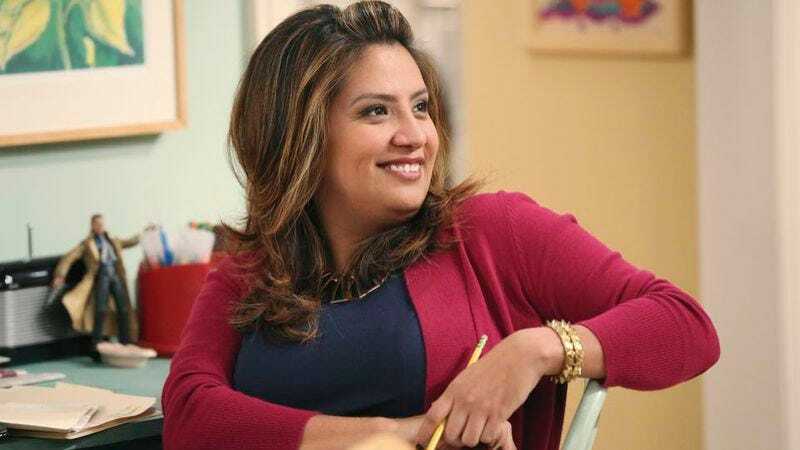 Though her sitcom Cristela didn’t live past the initial first season that the network ordered, comedian Cristela Alonzo is going back to ABC for a new TV project. According to Deadline, she’s set to star in the hourlong drama pilot The Gospel Of Kevin alongside Jason Ritter. The series focuses on Ritter as a “cluelessly self-serving jerk” who tries to kill himself and then starts living with this widowed twin sister and niece, and eventually he meets a “warrior for God” who tells him that he’s been “tasked with a secret mission.” Alonzo will play this “clearly divine” character, but the Deadline story doesn’t specify just how literal we should take some of the phrasing here. Is she actually an angel, or is there some larger mystery going on here? We’ll presumably have a better idea about that if The Gospel Of Kevin gets picked up by ABC.